Our Aim: "To deliver a unique selection of exclusive Charity Christmas cards with an outstanding bespoke service, at highly competitive prices. In short, to give people what they want, when they want it, without a fuss!" and, most importantly, the best quality of service in the industry. 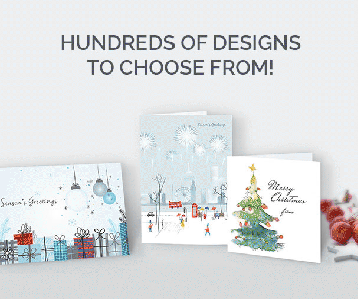 We understand and empathise with our corporate user's requirements and, therefore, aim to remove all effort from a a key factor in maintaining your business relationships: buying your christmas cards. We specialise in providing services where your business can select from an exclusive catalogue of corporate cards, to be printed with a unique, personalised greeting from your organisation. We were founded in 1998, a division of our parent wholesaling company which was established in 1981. With over 30 years experience in the greetings card industry, and going from strenth-to-strength on the back of a delighted loyal customer base, we have proven time and again we are a company you can rely on.